“Soil organic matter is the cornerstone of soil health,” said Islam, a member of a regional research team that’s spent the past 15 years studying soil organic matter, its benefits to crops and the best ways to boost it on farms run organically. “As with any agricultural production system, maintaining a healthy and productive soil is the foundation of sustainable organic farming,” he said. On Feb. 12, Islam and other team members will share their findings in “The Dirt on Organic Matter.” It’s a special preconference workshop being held before the Ohio Ecological Food and Farm Association’s Feb. 13-14 annual conference in Granville. OEFFA calls the conference the largest such event devoted to sustainable food and farming in Ohio. Islam said the workshop is for farmers, people who work with farmers, and anyone who studies, teaches about or has an interest in sustainable farming. Both events are at Granville High School, 248 New Burg St.
Providing food, energy and enzymes for soil microbes. The microbes boost plants’ growth and health. Providing a reservoir of essential plant nutrients that support good-yielding, high-quality, nutritious crops. Being a catalyst for regulating the soil’s ecological functions. 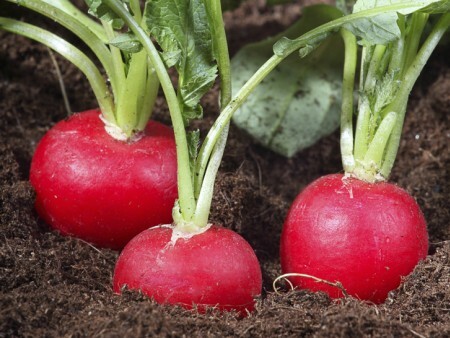 The functions include buffering the soil’s acid-alkaline balance, or pH. They also include improving the cation exchange capacity, which helps the soil store nutrients until needed by plants and microbes. Improving the soil’s structure and moisture retention. Better soil structure improves drainage during rains and wet times. Better moisture retention helps plants during drought. Big picture, soil organic matter also takes carbon dioxide out of the atmosphere and stores it in the soil. Excess atmospheric CO2 is one of the causes of climate change. Islam said people who take the workshop will learn how to increase soil organic matter levels by using, among other things, compost, manure, cover crops, and soil amendments such as gypsum, zeolite and leonardite, or black carbon. They’ll also get instruction on how to use an online soil organic matter calculator to monitor those levels. The knowledge “can help greatly improve soil organic matter content and, consequently, soil health,” he said. The workshop is meant to reverse those losses, he said, with the goal being organic farms that aren’t just good for the environment but are viable and profitable — or even more so — as businesses. The research team’s members include farmers; experts from the college’s outreach and research arms, Ohio State University Extension and the Ohio Agricultural Research and Development Center; and experts from the U.S. Department of Agriculture’s Natural Resources Conservation Service in Michigan. Registration for the workshop, which is separate from conference registration, is $75 for OEFFA members and $90 for nonmembers. The costs include lunch and resources that participants can take home. The deadline to register is Feb. 8. Registration for the conference is $160 for OEFFA members and $220 for nonmembers, with lower-priced child, teen, student and one-day options available, too. Meals cost extra and can be reserved at registration. Details about the workshop and conference and a link to online registration for either or both events are at oeffa.org/conference2016.php.